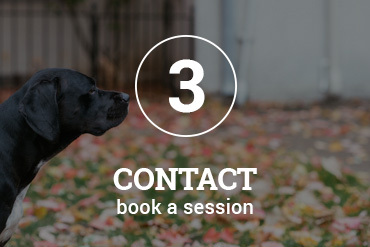 Lindsay Studios is the premier Sydney-based pet photographer who comes to you! I'll work with you to hold your session wherever will serve you best and set the scene for the memories you're looking to capture. 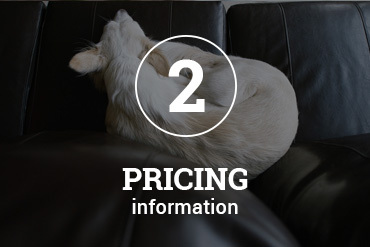 Your home, nearby park, or favorite places are the best bets to capture your pet where they are most comfortable. Work with me and discover what it's like to transform your place into a fabulous, inviting space with the creation of stunning portrait art for display in your home. Your portraits will be a daily reminder of how much your dog loves you and instead of spending another minute struggling with that random photo lab's website just to get some photos freaking printed already, I'll make it easy for you so you can redeem those hours of your life romping at the park with your dog! If you have any questions or would like to book your session, give me a ring at 0438.14239833.433, I'd love to speak with you! This session is for you if you want the customization of the full Lindsay Studios experience. I’ll email you a welcome packet with a style guide with clothing inspiration (photos of you and your pet together are just too much fun to miss out on but even if your goal is photos of your pet only, I recommend coming ready for some part of you to be in the images - even if it's just your arms or your feet - in case your pet needs you to feel comfortable), a guide with what to expect during your experience with me, and instructions on how to send me a snapshot of your wall where you'd consider hanging your portraits (more on that later!). Next comes a 15-20 minute phone call to plan and design for your session. We’ll get to know each other a bit, select a location that is meaningful to you, and set a date and time. Your one-hour photography session will be easy-going and fun for all so moments will unfold naturally, showcasing your personalities and fun moments together. I'll come bearing treats to keep your pet happy throughout, and break out some other tricks I have up my sleeve to coax out the best in your pet as needed. 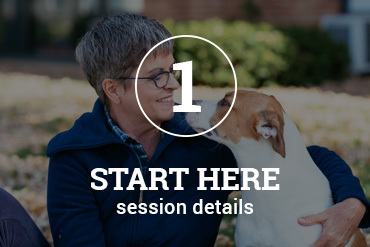 Within one week, the best images from your session will be presented in an online gallery for four days (you'll have the option to pick which four days work best for you!). This is where you'll select the five high resolution digital images that are included in your session fee, or you may choose to upgrade to the full set of 30 images so you won't have to choose! Now back to the wall snapshot I mentioned earlier. The goal of any portrait session is to make your home a happier place by displaying your favorite images for you to enjoy everyday. So you'll walk around your home, take a snapshot of the wall you'd consider hanging your portraits and email it to me. Then I'll use your snapshot to work my magic through my signature wall gallery design service. Using state-of-the-art software, I'll create a wall gallery design to perfectly fit the wall space you sent, and prepare visuals and instructions for you on how to print, frame, and install the gallery in your home. If you need help framing and installing your prints, I have preferred professionals I can refer to you. I’ve got you each step of the way so you won't need to worry about a thing! One complimentary wall design is included with your session and you may optionally add on additional designs. This session is for you if you want just a taste of the Lindsay Studios experience with a smaller investment. The Mini Session is a simpler version of the Signature Session - it includes all the same components with a few differences: it's short and sweet at 30 minutes long, happens only at the centrally located Observatory Hill in Sydney, and you'll be presented with the best 15 images from your session in the online gallery. Similar to the Signature Session, the Mini also includes a clothing style guide, a 4-day online gallery for selecting the included three high resolution digital images, and one complimentary wall gallery design. It's so exciting to create something new for your home and to have help displaying your portraits in a way you'll enjoy daily! You can call me at 0438.14239833.433 or email me at moc.s1555612652oidut1555612652syasd1555612652nil@o1555612652lleh1555612652.